Everything started when my friend Tudor asked me if I know how good the mountain bike trails in the U.K are. He invited me to go for a ride to Gisburn forest and I said ‘’yes, why not’’ , except I had one problem- at that moment I had no bike. In two days time I found a hardtail bike on ebay for just 200 £ and on the following weekend I was riding the Gisburn Forest trails. Having no experience and trying to keep up with my friend, you can imagine that things didn’t go too well for me. I went over the handle bars three times and I had my thumb from the left hand overextended. 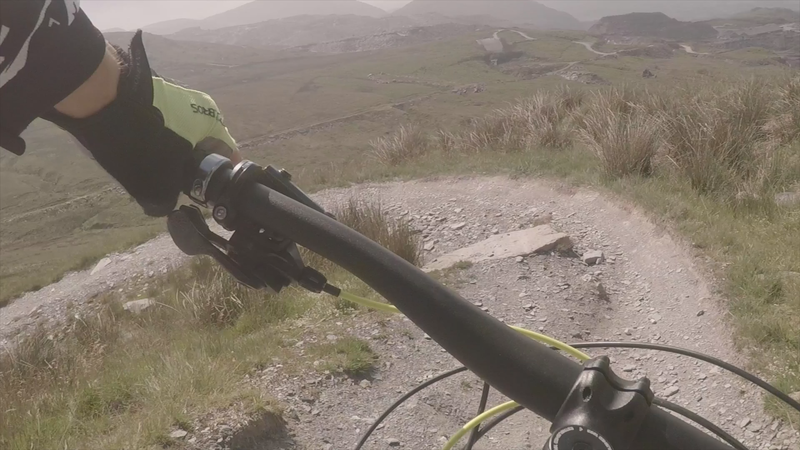 This didn’t stop me and ever since I had lots of downhill rides, but I’ll just move fast forward to the one that I want to show you today , which is the one from Snowdonia, Wales. I have to say a few things about the Wales history and then I will let you to check the descended ride. Slates are blue gray rocks, which after processing can obtain floor tiles, slabs or roof slate. In Ffestiniog ,North Wales almost all the slate was quarried underground. The first here was a small opencast known as David Jones’ pit opened at the turned of the nineteenth century. The first company to extract slate was Maenoffaren Slate Quarry Company LTD formed in 1861. By 1882 the quarry’s output was 8,600 tons. At the turn of twentieth century the quarry was employing 429 men. Underground quarrying and processing at the mill came to an end in 1999. Today in Snowdonia they got zip lines, bounce blow, mountain bike trails and the list can go on. Truly a beautiful place! Hi mate. I prefer Gisburn Forest or Sheffield. You are right , uk got all over the place lots of good trails. Have a good week !